On the Big Island, real estate investors will be quite elated to find properties that have been built with care. As Harold Clarke of Luxury Big Island shares in a conversation with architect Branko Pahor, homes in this market feature meticulous construction that inspires pride in craftsmanship. Here, builders have mastered the art of working with different high-quality materials, especially those sourced locally. Prospective buyers can walk into the finest quality homes made using dense tropical hardwood and softwood: koa for the walls and cabinetry, ohia for the posts, cedar for the roof shingles, and teak for the floor panels. The result: homes that are at once elegant and cozy – providing an indulgent ambience, but also filled with the warmth that only natural materials can bring. Especially when they showcase the best of the local woodworking tradition, these homes are sure to impress guests and inspire interesting conversations. With these features, Hawaiian homes are also set to withstand the state’s unique climate, even oceanfront conditions marked by the daily exposure to saline air, moisture, strong winds, harsh sunlight, and sand, as well as the occasional rainfall. More importantly, they let residents experience the best of the island lifestyle. With the seamless transition from the indoors to the outdoors, homeowners will find it ever so easy to commune with nature, enjoy the sweeping ocean and mountain views, and savour precious moments with family and friends in wide common spaces. “It looks just impeccable,” says Harold of a typical well-made Hawaiian luxury home. 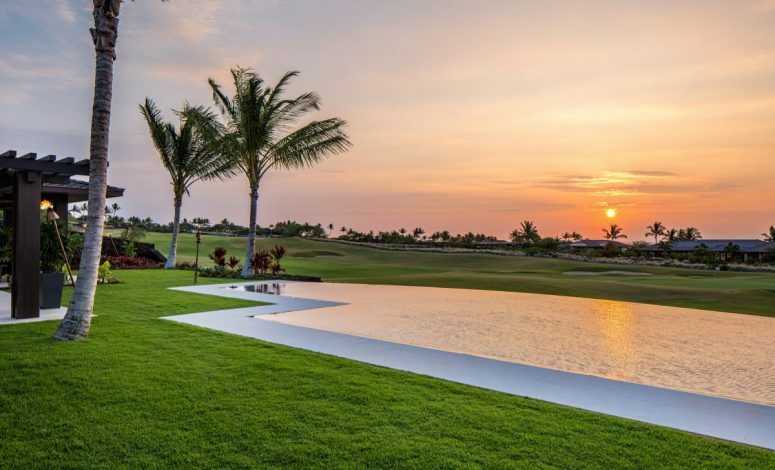 He is determined to let his high-end clients – especially prospective investors from Hong Kong who are not yet familiar with the Big Island real estate market – that the Aloha State is home to an array of beautiful properties, and of talented builders who care. For his part, Branko delights in the pleasure and privilege of working with Hawaiian builders from the inception to the final handover of a home. In fact, he describes them as true professionals who take pride in their craftsmanship, and who make the job easy. Get in touch with Harold Clarke today, for more on the quality of Big Island real estate properties, and the professionals who build them. Harold Clarke is a leading Hawaii real estate broker who maintains a solid network in the local industry, and who caters to a discerning clientele from all over the world. With his help, many buyers have found their sanctuary in Hawaii.